The idea of choosing Saturday is to make it more accessible to many of us who have crowded weekends and know that we will attract the enthusiastic members especially those who use their M.G. 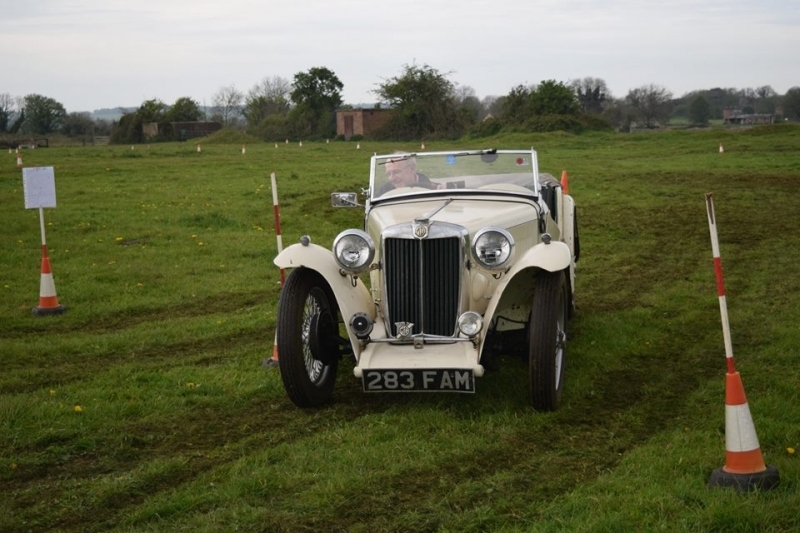 as often as possible and, to this end, the route round the grass tests will be as smooth as practicable — bearing in mind that this is agricultural land sited on a 2nd World War aerodrome. The event will start at the socially acceptable time of 10am when there will be 4 attempts at the tests set out with views across the idyllic Cotswold countryside, before we will remove to the Catherine Wheel pub in nearby Marshfield for a generous lunch break (or picnic on the field if that would suit you better) this long lunch break is deliberately planned so that we can get to know each other better and so make it a more social sort of gathering. This leisurely lunch should run from about 12.30 to 2.30pm and then back to the venue for another few goes at the tests (how many will depend on the size of the entry and weather conditions), that may well have been subtly changed in order to make it even more exciting. We hope to finish by announcing the provisional results and to wind up the proceedings so that we can all be home home in time for tea. The organisers are happy to note that this is breathing a social angle into this particularly entertaining and endearing mode of inexpensive ‘entry level’ motor sport. All you need is your membership card, a roadworthy motorcar and the astonishingly modest £15 entry fee—what could be a better use of £15? If, for any reason, you can’t enter then why not come along and offer to marshal (last year we actually had a surfeit of marshals !). For the downloadable entry form please click here. Look forward to it. Just hope & pray the weather is kind to us. Will be entering with a 1961 MGA Coupe Mk11. Will be good to see you there Rory.